Are you in search of a child-friendly yet tasteful interior style for your childs bedroom? 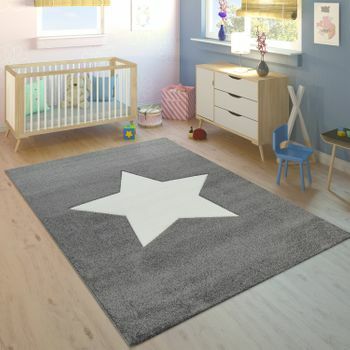 This exquisite childrens rug with a star design is the ideal solution, which is popular among children and parents alike. 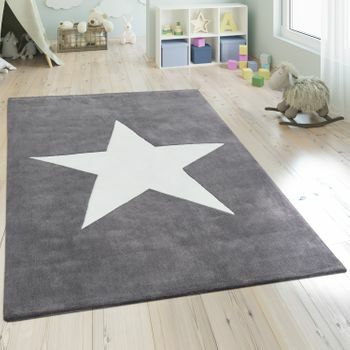 Stars fascinate both boys and girls with their twinkling brightness that speaks to us from light years away. They exude a sense of mystery while at the same time acting as faithful companions in the night and bringers of sweet dreams. 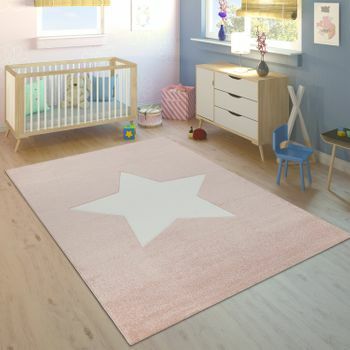 A large white star hangs resplendent on this exquisite short-pile rug in a stylish pastel blue. The carved design of this radiant celestial body creates a 3D illusion which means that it appears to be floating above the ground. 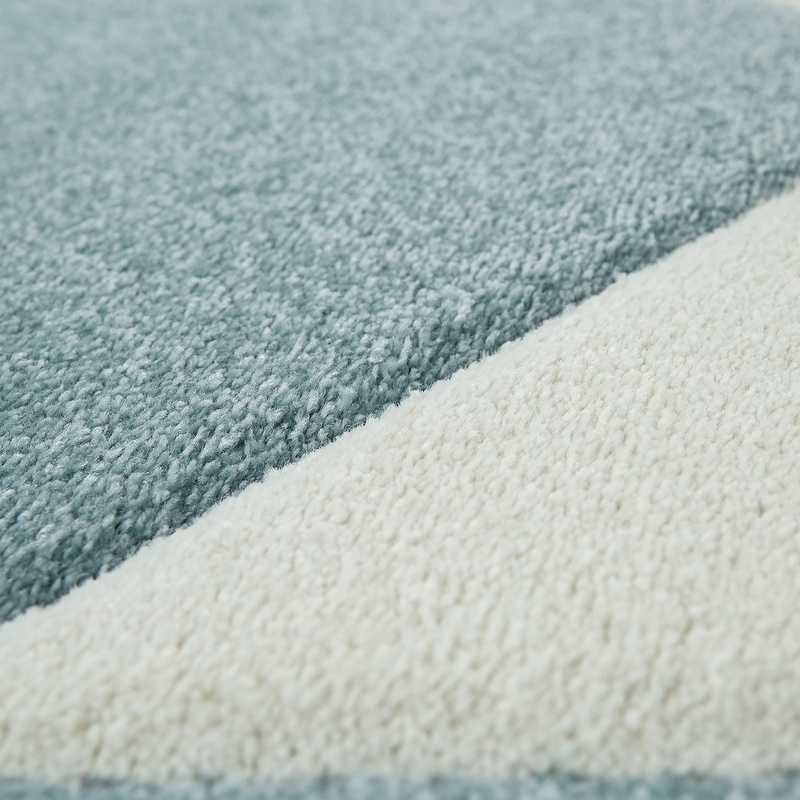 The play mat is made from 100% polypropylene, making it extremely hard-wearing. The brilliant intensity of colour will make it an eye-catching feature in any room. 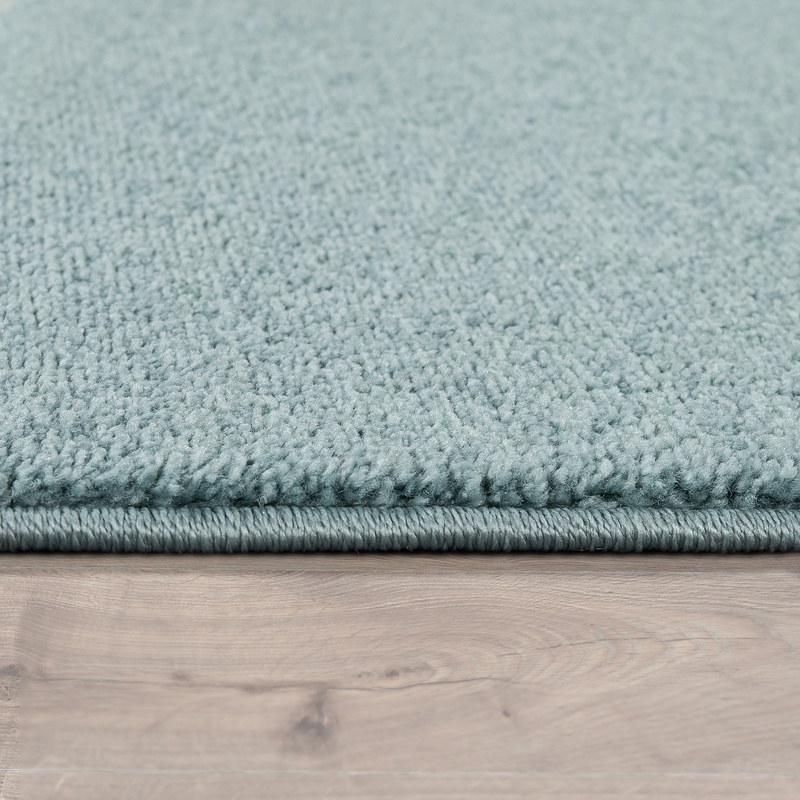 It is easy to care for and suitable for use in rooms with underfloor heating. 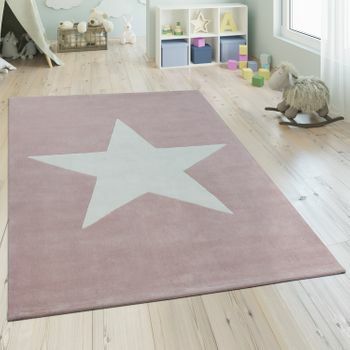 It is certified to Oeko-Tex Standard 100, which guarantees that it is entirely free of harmful substances and the ideal accessory for playing and cuddling on the floor. It has a pile height of approximately 13 millimetres and a weight of around 2,850 grams per square metre. 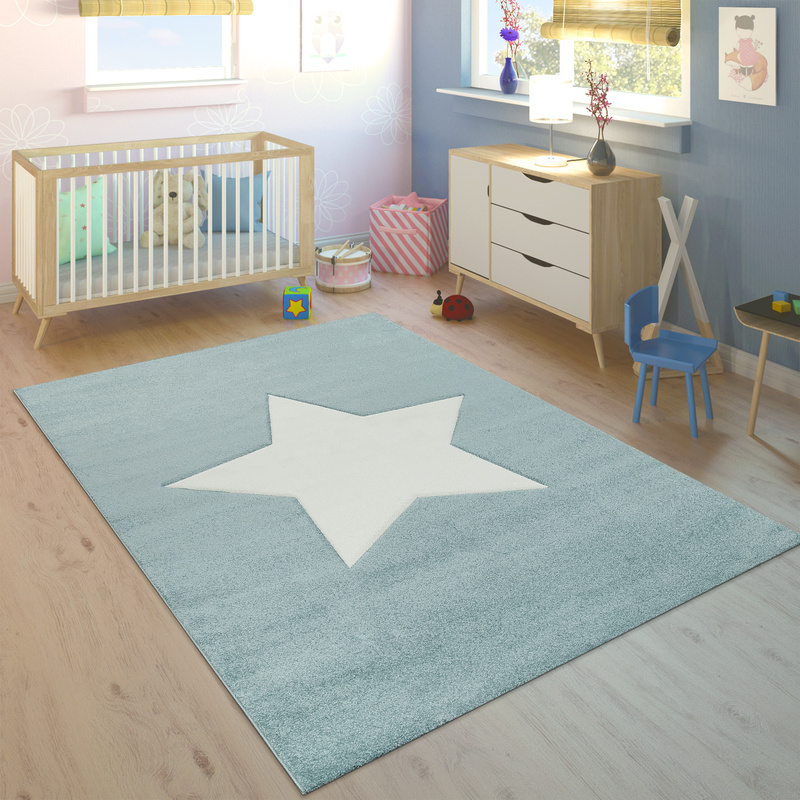 Our tip: The tender-blue rug looks stunning with natural wooden furniture. Why not combine it with other interior features in blue? A light blue wall has an exquisitely airy and calming look,, and matching curtains and bed linen will add the perfect finishing touch.